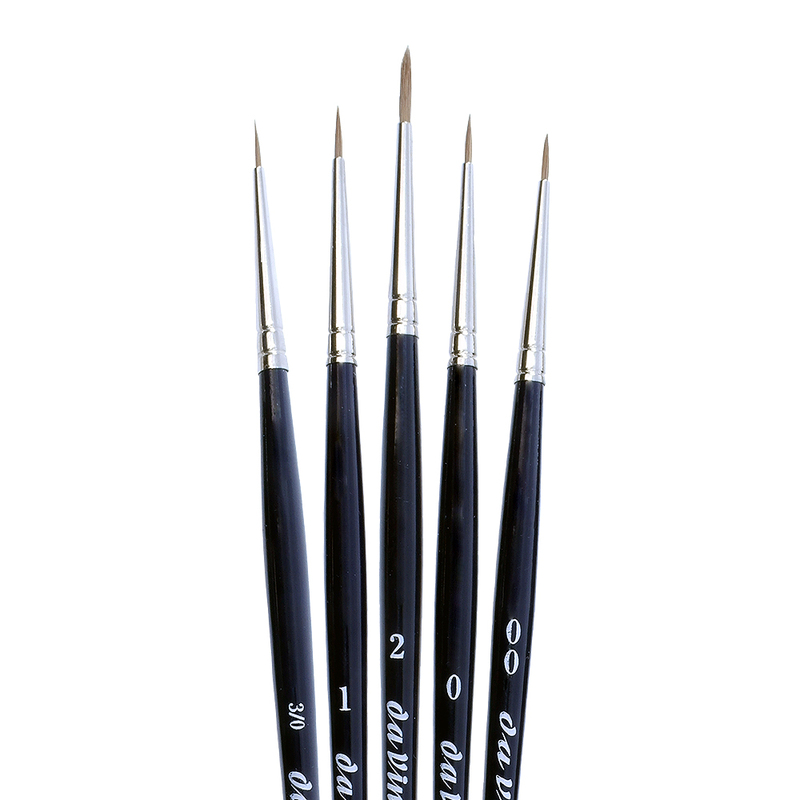 This Da Vinci Set of Miniature Sable Brushes contains five round brushes made from Ussuri red sable hair and each is finished with a silver-colour ferrule. 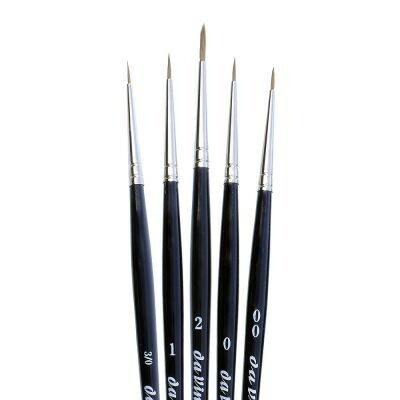 The set contains five brushes, one of each of the following sizes - 3/0, 2/0, 0, 1 and 2. 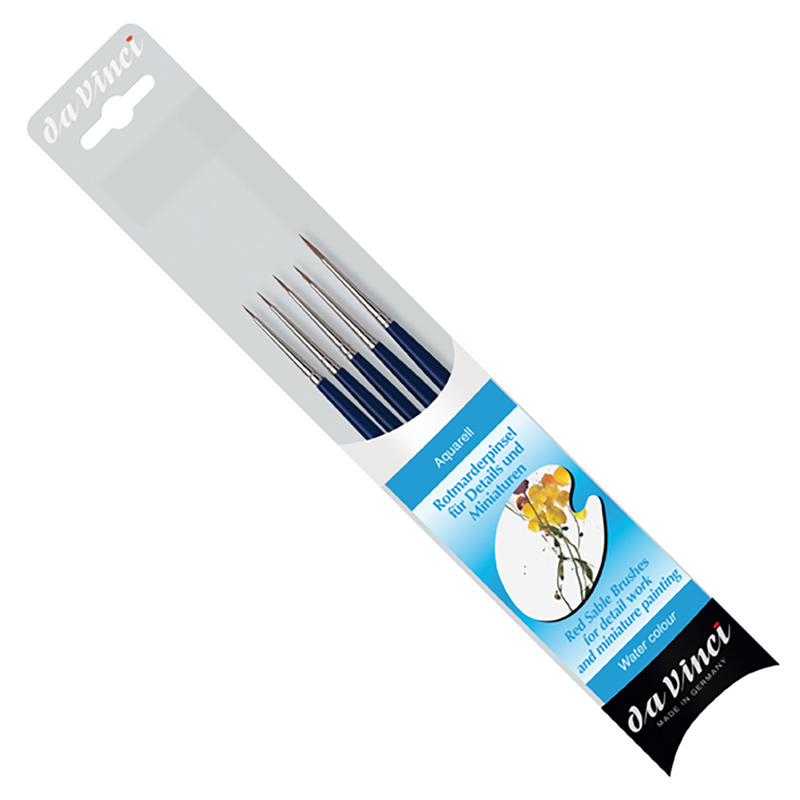 Their fine natural hair and small tips make them ideal for painting detail on the smallest scale - they are great for miniatures.